After writing my wacky post where I called Lucky and Garu as Lone Starr and Barf in spandex -- I decided to make another wacky post for where I'd like to imagine what if these two doofus villains Dark Helmet and Colonel Sandurz were actually employed by Don Armage as his henchmen. What if these guys were either in Kyuranger or at least had characters based on them. After all, if Lucky is Lone Starr in spandex then why don't we have Dark Helmet and Colonel Sandurz? Jark Matter actually took over the Universe 300 years before Kyuranger started. I could imagine if over the course of time that Don Armage got overly complacent in some way and decided to hire two henchmen who would be similar to Dark Helmet and Col. Sandurz. I could remember some of the moments where Dark Helmet makes a fool out of himself or where Col. Sandurz is less bratty but still has a severe lack of common sense. 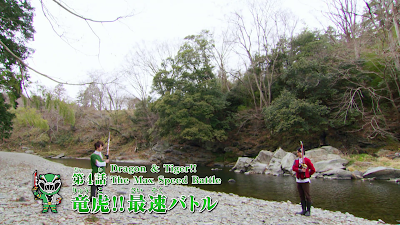 So how would these guys fit into the Kyuranger universe or least have counterparts? What I could imagine them as extremely forgettable henchmen. They die in battle (or preferably out of their stupidity) and it does nothing to impact the show at all. I could imagine if the first few episodes of Kyuranger actually presented the least powerful henchmen. This would be Dark Helmet and Col. Sandurz working for the rather terrifying Don Armage. They're sent on menial tasks such as gathering Planesium from nearby planets. They're only good as introductory villains one way or another. 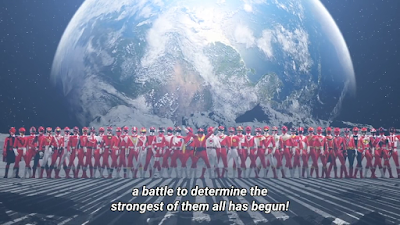 I could imagine it if both villains would brag about the "invincible might" of Jark Matter and they don't even treat the Kyurangers as a serious threat. This would result to Don Armage sending them on a do or die mission probably as early as episode five (I'd imagine them in the place of Eriedrone) and they end up getting destroyed in battle. Another possible way to write them in would be in the middle of the episodes. He would be in charge of the Leo System or some "insignificant planet". I'd want to think of him as Lucky's jealous rival who joined Jark Matter for that reason. I would probably make him another forgettable henchman where he appears to supervise the Planet Kaien's occupation in episodes 36 and episode 37 where they both show themselves as chief inspectors. I would probably either have them killed or have Kukuruga killed -- which may involve a scene where the counterparts of Dark Helmet and Colonel Sandurz are begging for their lives after they lost Kukuruga in battle. I would imagine their counterparts in the place of Dr. Anton. Dark Helmet would later have his messed up schemes such as the adventure in the Perseus system -- where he can be revealed to be very childish and idiotic. 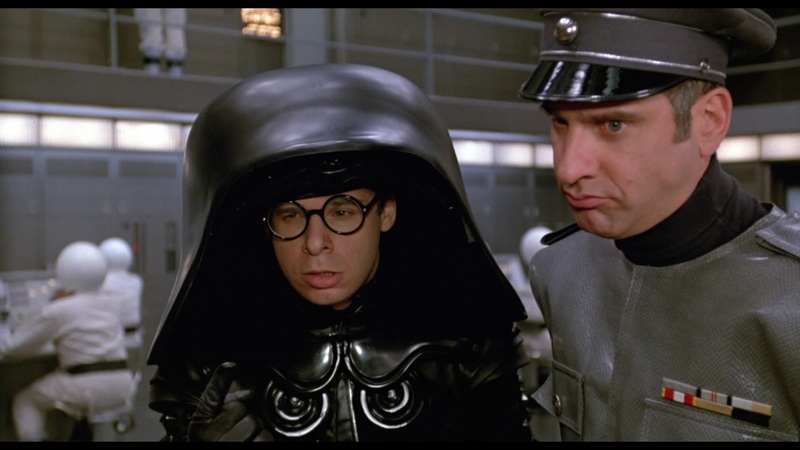 Maybe, we can have Colonel Sandurz criticize every stupid plan all the while Dark Helmet reveals he does have some great scientific knowledge -- which he stole from Professor Anton. Dark Helmet would go as far as to create a crazy hybrid cyborg out of the three vice shoguns. This would later have a scene where Colonel Sandurz would criticize yet another of Dark Helmet's genius gone wrong -- since Akyachuuga is three different minds in one body. He says it'd be his greatest creation but he fails. I think it'd be funny to have it where Dark Helmet and Colonel Sandurz are too stupid to even realize Don Armage just keeps them around as disposables. Don Armage could send both villains as distraction while he finishes his grand plan to recreate the Universe from scratch. 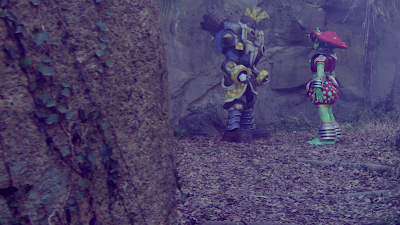 They would get destroyed when they rely too much on their powers and the Kyurangers manage to destroy them both for good.